One thing quickly becomes apparent to anyone who reads the gospels, the pages of Scripture that contain Jesus' words and actions: no one who heard His words failed to react. Some who listened shook their fists at Him. Others marvelled at a depth of wisdom they'd never heard before. And some believed His words, choosing to follow Him. Whatever the reaction, no one left His presence unaffected by the encounter. 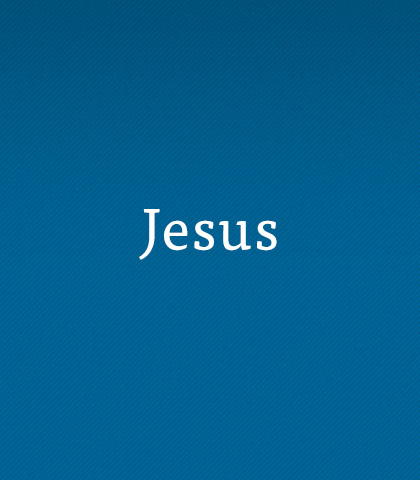 Jesus easily stands as the most influential person in history. Even today, millions call Him Saviour. Why? What was it about His short time on earth that shook the world so? What did He say to grab people's hearts the way He did? Why do so many believe in Him as the Son of God? Embark on an eye-opening journey into the life and times of this carpenter from Nazareth. Just don't expect to be unstirred after your encounter with Jesus. We are experiencing playback issues. If the broadcast doesn't play please listen here. The Son proceeds from the Father like radiance from glory. Although one is distinct from the other, it is impossible for the one to exist without the other. There never was a time when glory existed without its radiance. Most people would say death is the end but Christians have a hope that goes beyond the grave. In this message, Chuck Swindoll offers a glimpse into the future for those who trust in God. John 3:16 is quite possibly the most well known verse in the entire Bible. It's seen on bumper stickers, T-shirts…even at football games. But our familiarity with this passage can make us numb to the truth it offers. In this message, hear Chuck Swindoll explain God's amazing love. God controls every single world event but His sovereign influence extends into every aspect of your life, as well. Chuck Swindoll offers assurance that the all-powerful God knows and cares about the intimate concerns of your heart. People are sometimes uncomfortable with the notion that God is sovereign and in complete control. We prefer to think we're in charge of our own destiny. But in this message, Chuck Swindoll assures us that the sovereignty of God is our greatest comfort. In this final message of this series from John’s gospel, Chuck Swindoll concludes with some powerful lessons about the impact of Jesus’ miraculous life and ministry on earth. "...And What about This Man?" Chuck Swindoll teaches the importance of following Jesus as diligent disciples. You will learn some valuable lessons from the story of Peter, who took his eyes off Jesus. Through the three years the disciples learned from Jesus they watched Him calm storms, walk on water, and confront the religious establishment…all while casting His saving net into humanity’s sea.